What has your distributor done for you lately? Maybe more than you know. 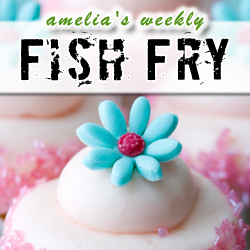 In this week’s Fish Fry, we look beyond the rows and rows of pieces and parts, beyond the microcontrollers and ADCs – to the softer side of distribution – to the place where the rubber meets the road but you’re not quite ready to race at Indy yet. We’re talking development boards and FAEs with Jim Beneke and Ron Moore from Avnet. Together we look into the specifics of the Zedboard and investigate the changing role of field application engineers in our engineering process. Also this week, we find out how NASA intends to address the issue of limited bandwidth from space – one laser at a time.